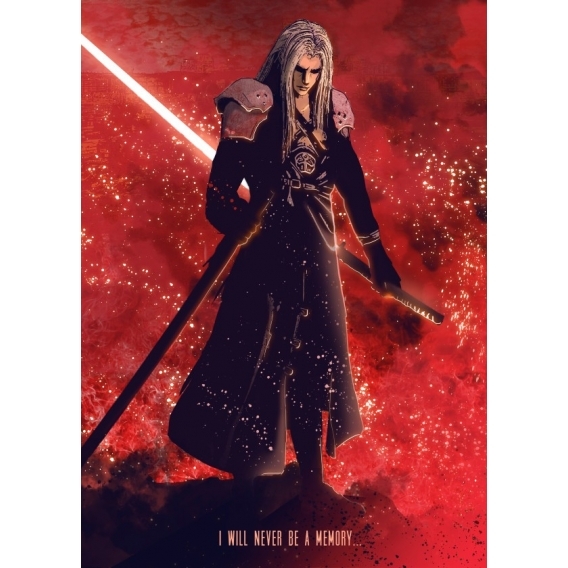 Beautiful character in metal collector poster. 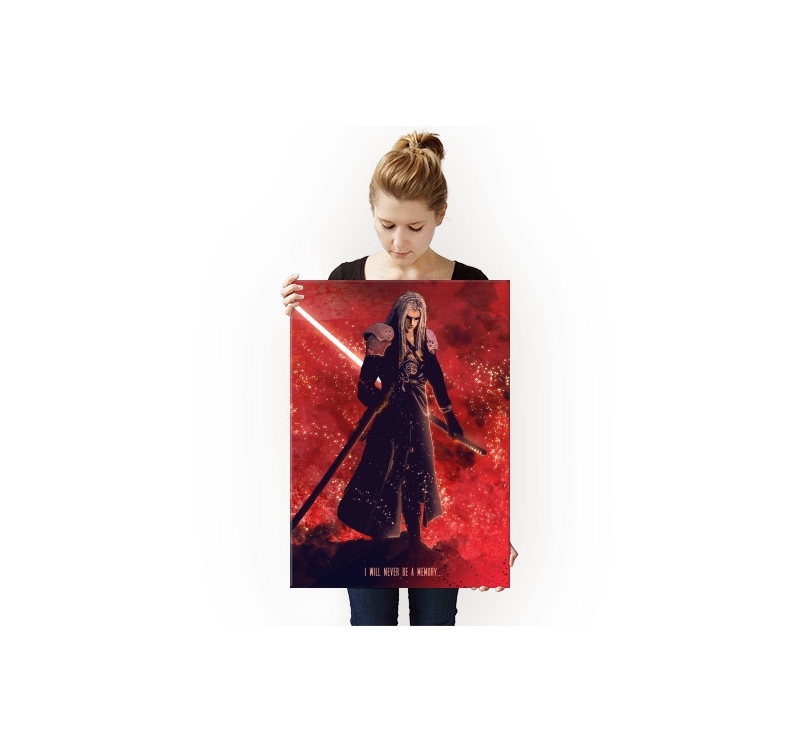 Delivery is completely free in Metropolitan France and Belgium for this original poster. 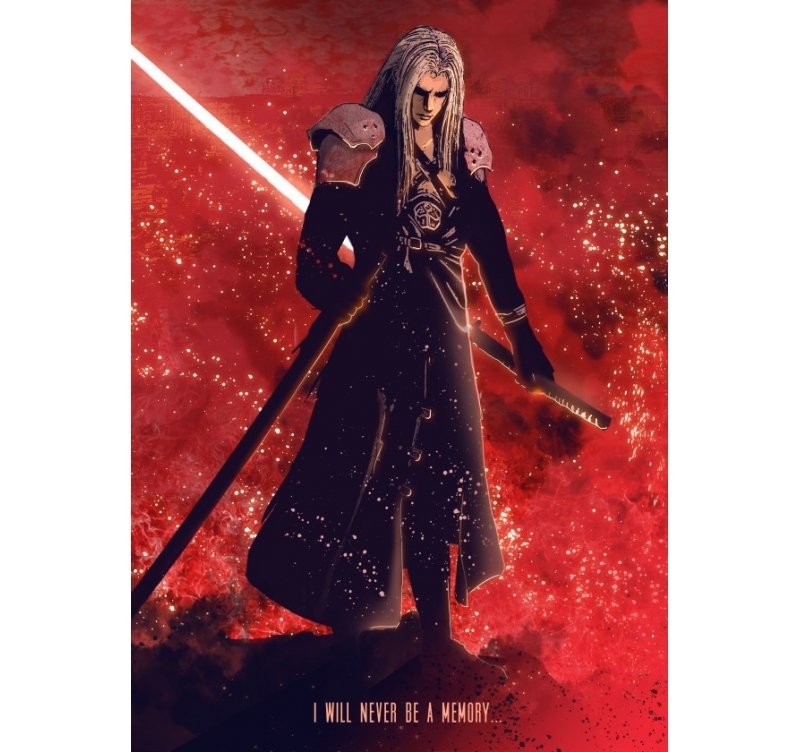 An epic metal poster featuring a terrible warrior with his long sword that seems ready to do anything to triumph. 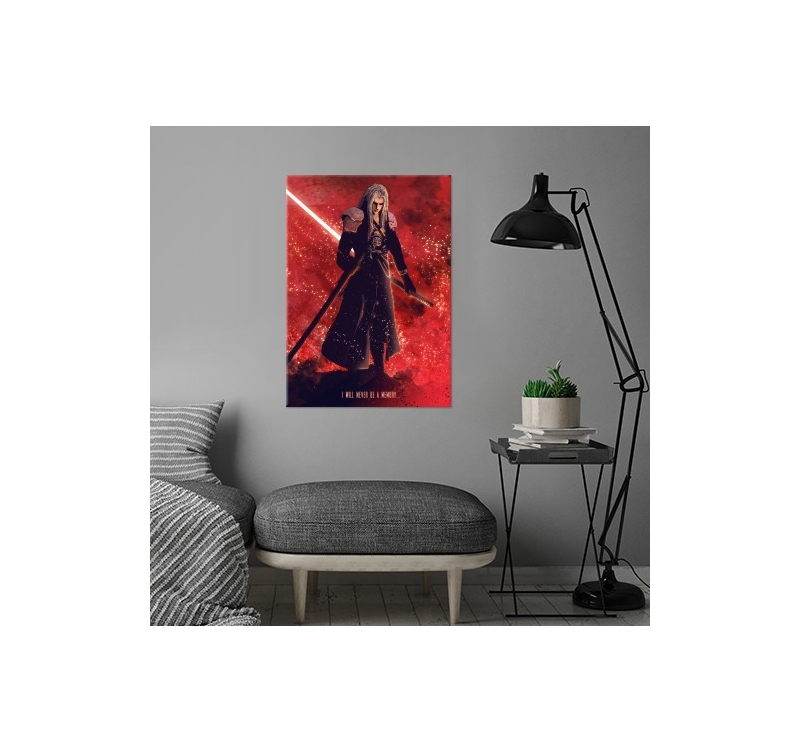 On a red background with sparkling dust that rises from the fire, this metal wall poster imposes and will not go unnoticed in your interior decoration. All fans of this video game will fall in love with this metallic design poster that is made in every detail. 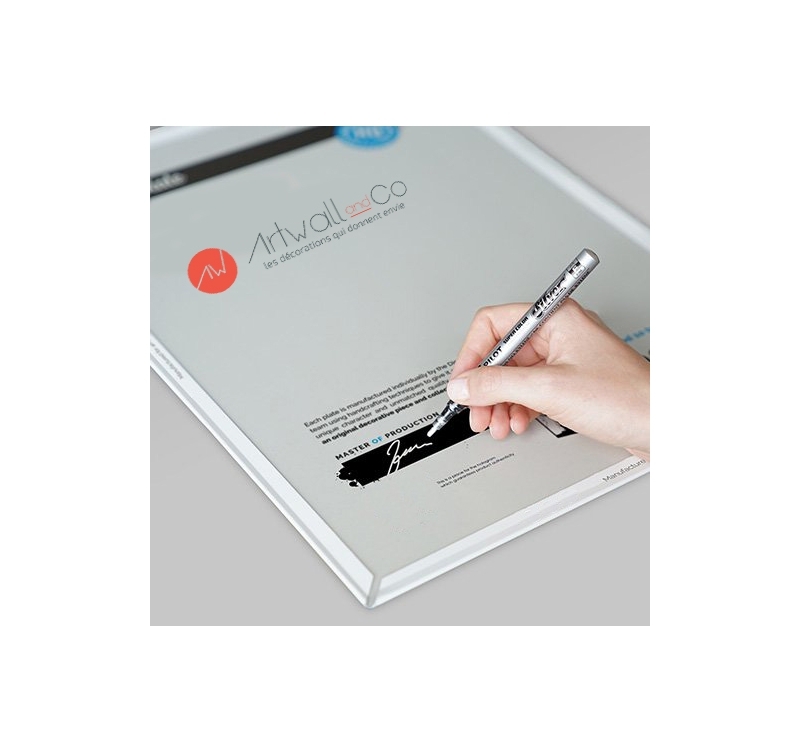 With a hologram on the back of the poster, this collector's item is authenticated with the signature of our production manager. 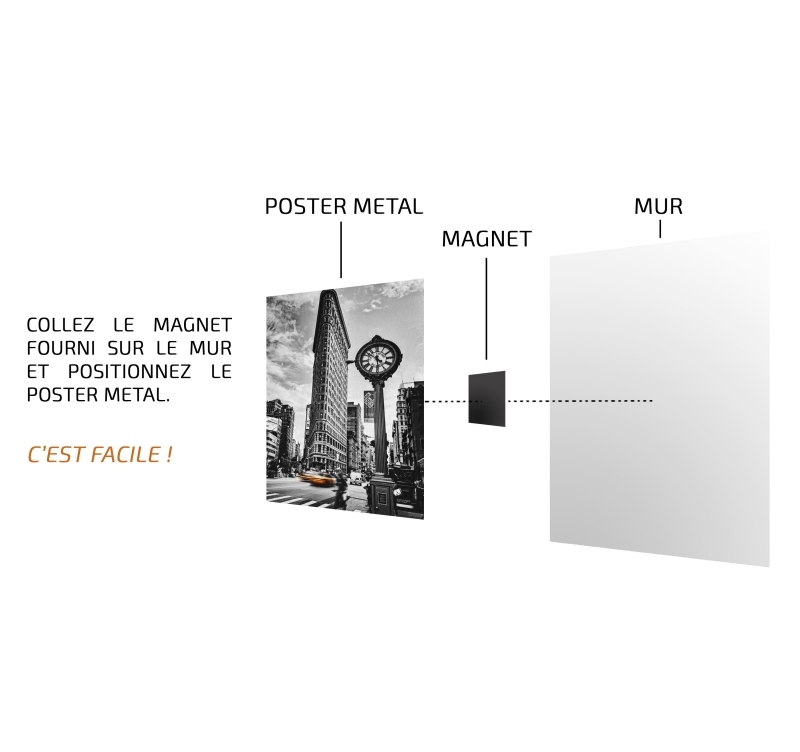 This metal video game poster comes with a magnetic hanging system for a very simple installation on your wall.